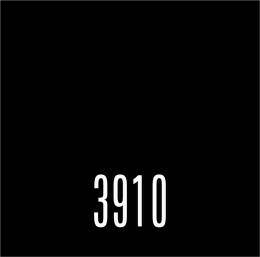 Reverend Rhodes’ futuristic concept piece 3910 takes us boldly into the future via music that recalls the depth, warmth, and unbridled imagination of early electronic masterpieces from Tangerine Dream and Klaus Schulze. 3910 is tempered by composer/performer Ryan Rodine’s unique vision and compositional mastery. Composed and performed entirely by Rodine (with some additional vocals by Alisha Hunt), this soundtrack to an as-yet-nonexistent film will take listeners on repeated journeys through the landscapes of the future and the landscapes of their minds. This is the music of the future made with the tools of the past, including one of the most valuable in music, the human soul.